Parliamentary and presidential elections are due to be held in Libya in the near future. Many women are disillusioned with politics. The women’s group supported by CMI is appealing to women to get involved as voters or candidates. 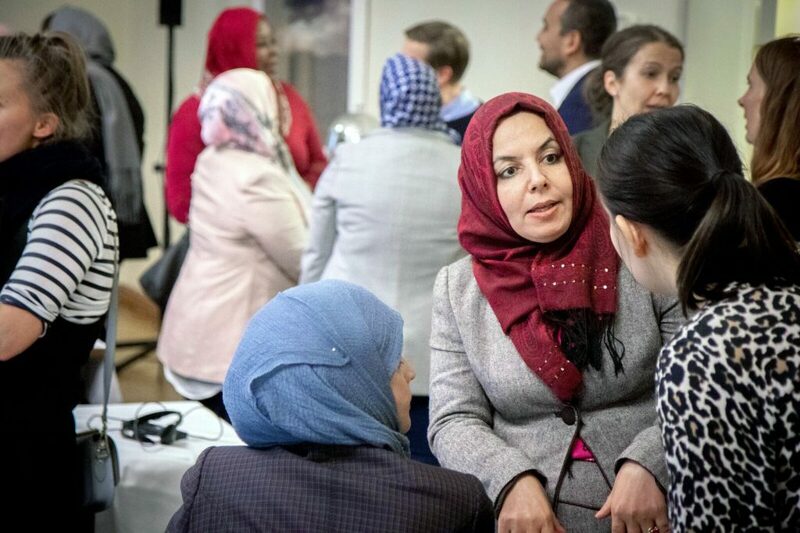 Khairiya Ohaida believes that given the opportunity women can be game changers in Libyan politics. The words are printed on a card showing a photo of a mother with a child in her arms. There’s a second photo of a ballot paper being dropped into a ballot box. 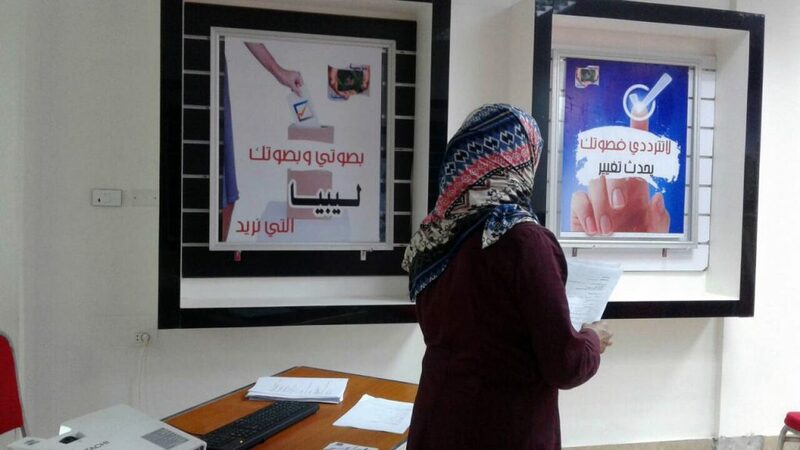 The card is part of the campaign aimed at appealing to women to take part in politics in Libya. A group of local women politicians and civil society activists, supported by CMI, is running the campaign. The group has been distributing the cards, including at children’s events so that youngsters can pass on the message to their mothers who have stayed home. The issue couldn’t be timelier. Parliamentary and presidential elections are set to take place in Libya in the near future. The initial plan was to hold the elections in December, but now it seems that they will be postponed to next spring. There is a great need for raising awareness in a country lacking a democratic heritage. In rural areas, women may not even have heard about the elections or about women’s rights generally. “We are encouraging women to take part in the upcoming elections as voters or candidates. Many women do not know their rights. Women have to know about their rights and know how to demand them in order to build this society,” explains Khairiya Ohaida, a member of the woman’s group. Ohaida believes that given the opportunity women can be game changers in politics. 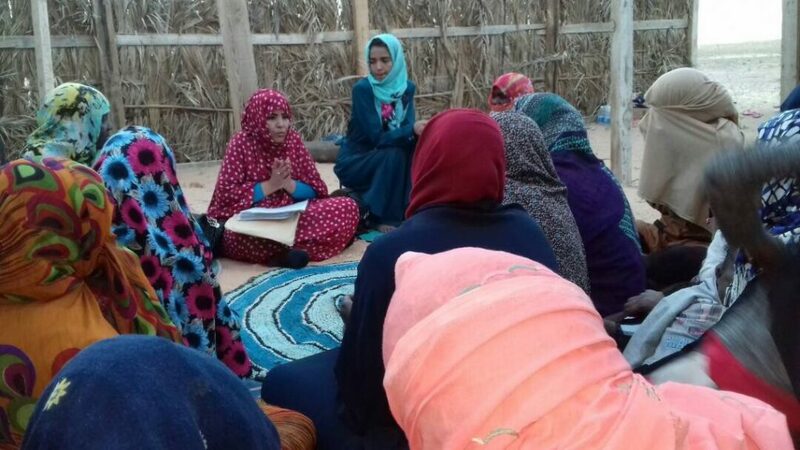 Women’s working group members conducted workshops on women’s political participation in Awal desert. During Muammar Gaddafi’s 42-year rule women had little opportunity to have an influence in society. The 2011 revolution that overthrew Gaddafi opened up new opportunities for women to get involved in politics. Women exert an influence especially in civil society organisations but have also to some extent gained a foothold in political parties. Yet the escalating political crisis of the last few years and the country’s fragile security situation threaten to put an end to such progress. The opportunities for women to participate are also being undermined by the rise of archaic religious thinking. There has not, though, as yet been a clear account of the problems and possible solutions to them. So the women’s group CMI supports carried out a nationwide survey last year to chart the situation. More than 600 women representing an exceptionally broad range of different groups from across Libya took part in the survey. It was a massive effort in a country seven times the size of the United Kingdom and controlled by different armed groups. “We first thought that the survey could be done at least in part on Facebook. But not everyone has internet in Libya. We concluded that it was best to carry out the survey in person. 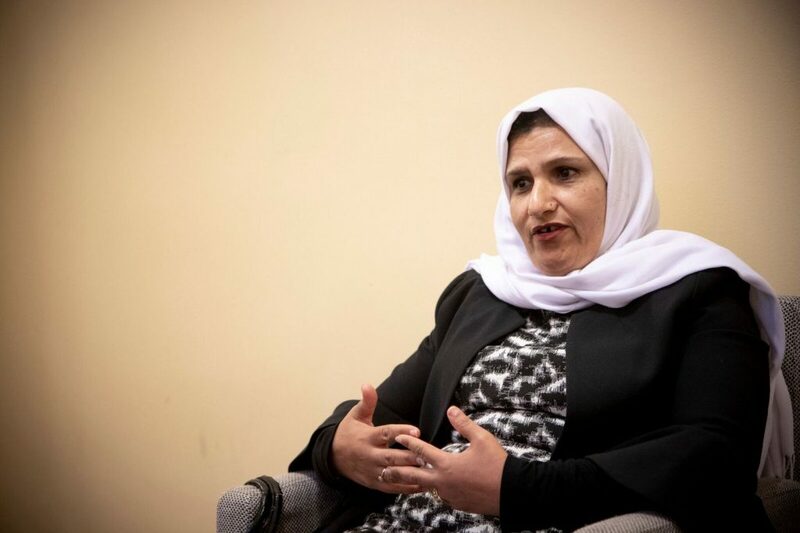 It quickly transpired that some people wouldn’t, for instance, understand what one or other of the questions meant”, says Ghmera Krekshi, a member of the women’s group who coordinated the survey. Local networks helped with carrying out the survey. The questionnaires were distributed at municipal councils, universities, schools, hospitals, weddings, and children’s events. Neither Ohaida nor Krekshi were taken aback when asked if they didn’t fear for their own personal safety. “Maybe we’re strong women and we don’t care”, says Krekshi. According to Ghmera Krekshi, young women are more disillusioned with politics than other age groups. Young women are, for example, less eager to participate in elections. The survey revealed that Libyan women do not know nearly enough about politics. Most women feel that they do not have enough information to be able to participate in the upcoming elections as voters or candidates. The lack of information particularly concerns who the women candidates are in the elections. Women’s participation in elections as candidates or voters was sabotaged during the previous elections, involving threats, banning women’s meetings or destroying their campaign materials. “For example, survey respondents maybe saw that women’s pictures were defaced on election ads. This affects attitudes”, says Krekshi. Many women feel deep mistrust towards the current political system. This is influenced by the deterioration of living conditions and prevailing insecurity. “Many say that you see the same faces in politics and they don’t achieve anything”, explains Ohaida. Young women are clearly less eager than other age groups to get involved in politics. The attitudes of young people are influenced among other things by the fact that many decision makers are in their seventies. “They do not give young people a chance to join in politics or teach them,” says Ohaida. In Libya many women don’t understand well enough the electoral process. Photo from training in Sirte. The group considers awareness raising to be the most effective remedy to the problem. Some of the group already started such awareness raising work in connection with the survey. The aim is particularly to improve awareness among young women in rural areas. Workshops and training sessions are being held for women on their rights. Political parties are being encouraged to promote the status of young women. “There’s tremendous interest. People want to be aware”, notes Ohaida. The main message is that if you don’t vote, you also can’t make a difference. The survey itself has already had a positive impact. “Many women found that for the first time they made their voices heard. This project has already left a positive mark on Libya”, explains Ohaida. At the end of October, the women’s group sought inspiration from Finland too. During their visit, they met Eva Biaudet MP and the Chairperson of the Parliamentary Women’s Network, Tytti Tuppurainen MP. “Both of them are strong women and we learnt a lot from them. They encouraged us to go on with our work. We will continue to be in touch with them,” says Ohaida. She repeats what she said to Eva Biaudet when the MP asked the group about their dreams.